I'm really pleased to welcome The Dark Days Club author, Alison Goodman, onto the blog to tell us about the writing. 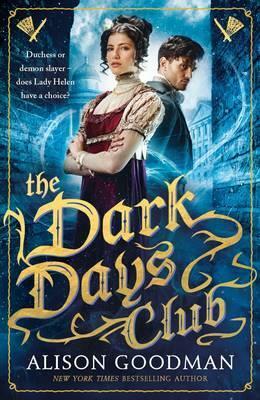 1) The first book, The Dark Days Club, in your new trilogy, has just been published in the UK. What kind of reactions have you received about it so far? It has all been rather thrilling! My publisher, Walker Books UK, have been fabulous. They have really innovative ideas about getting the book out into the world including a massive giveaway of 20,000 samplers on Oxford Street in London, and a Bloggers/Vloggers morning tea, which was a hoot. I’ve had so many great reviews and a lot of lovely feedback from readers who have fallen in love with Lady Helen’s adventures and Lord Carlston’s infuriating manners and dark past. 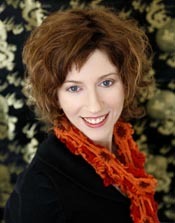 2) You are a New York Times Bestselling Author. How does it feel to have that title and does it come with any perks? When my books EON and EONA became New York Times Bestsellers, an author friend of mine commented that, professionally, my name would now be Alison New York Times Bestseller Goodman. Hahahaha! But seriously, it does garner quite a bit of attention and it certainly pleased my publisher – they sent me flowers! 3) Can you give me a one-line pitch about your new novel,The Dark Days, to give my readers a taster of what the book is about? Pride and Prejudice meets Buffy-the-demon-slayer in high society! 4) How did the idea for the book come about? The idea came to me while I was on a tram coming home from a writers’ conference. I had been to a session about researching the Regency and, as I sat on the tram looking out of the window, I began to think about what kind of Regency novel I would like to read now. The answer came in a rush: a mix of everything I loved about Jane Austen and Georgette Heyer, together with the excitement and delight of a supernatural adventure! I scrabbled for a pen and paper and by the time I got to my tram stop, I had the outline of The Dark Days Club. Part of the allure of the idea was the chance to make the book historically accurate. Personally, I love to read about the way people lived in the past. In The Dark Days Club I wanted my reader to be able to immerse themselves in all things Regency and walk alongside Lady Helen as she discovers that her upper class, luxurious world has a hidden demonic underside. 5) As more and more of your books are published, do you find the writing gets easier or harder? Every book is different, and presents its own challenges. So, while I may find certain aspects of the writing easier—such as crafting the structure —there will always be new problems to solve and techniques to explore. Writing a novel is about creating an emotional journey for the reader, and the possible ways of doing that are endless. That makes the opportunities to learn and develop as a writer endless too. 6) When starting a new novel, what do you do first? Do you research an idea or go straight into the first draft? I always research first; it is how I build up a solid foundation of knowledge about the era I am writing about. I spent over eight months, full-time, researching the Regency before I began writing to make sure that I had a good working knowledge of the times and the way people lived. I also research all the way through writing a manuscript as well. Yes, I do, but it changes throughout the progress of the novel. At the beginning of a novel I aim for at least 500 quality, stay-in-the-book words, but more often than not I go way above that total. That is just my base amount to keep the book moving forward. As my submission date looms, then my daily total will be adjusted according to what I need to get the book done! I write my books using Scrivener, and it has a very handy function that allows you to punch in the total number of words you think the book will be and the date you want to finish it, and it will calculate the number of words you need to write each day to achieve that goal. It is simultaneously helpful and terrifying. This is a hard question because I have so many! Let’s see…I’ve already mentioned Georgette Heyer and Jane Austen. I also really enjoy Diana Gabaldon’s books, Ben Aaronovitch’s River series, J.K. Rowling, Lincoln Preston and Anne McCaffrey, to name just a few. Thank you Alison for joining us today and answering our questions. The Dark Days Club by Alison Goodman is published by Walker Books and is available to buy now.